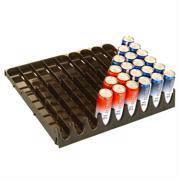 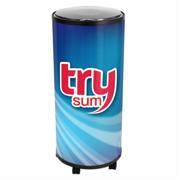 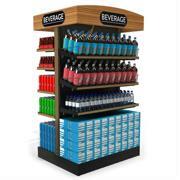 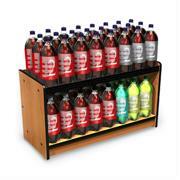 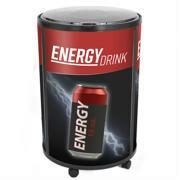 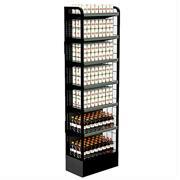 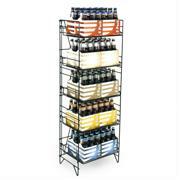 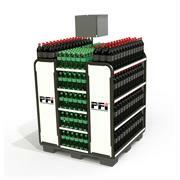 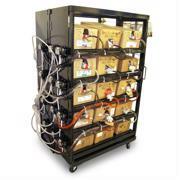 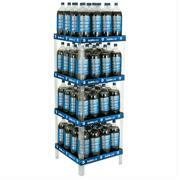 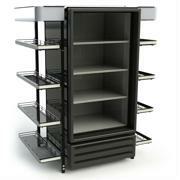 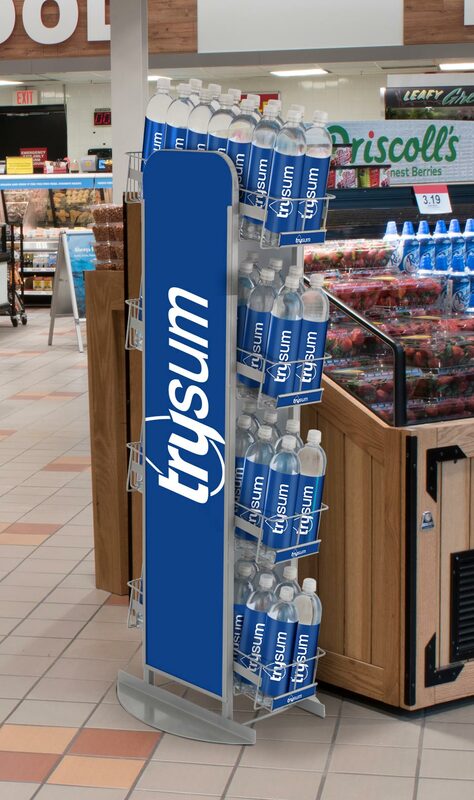 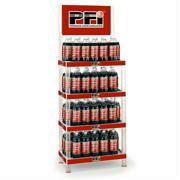 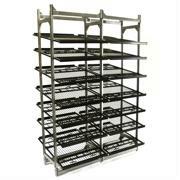 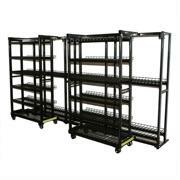 Slim, gravity, wire display racks are the ideal merchandisers for high profit, single-serve beverages. 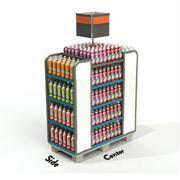 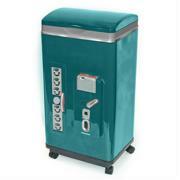 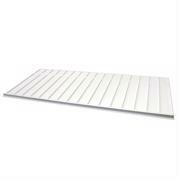 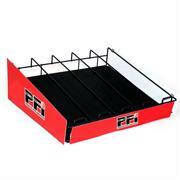 Small footprint units can be placed anywhere in the store. 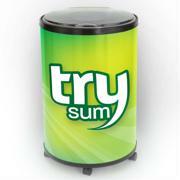 Perfect for trial and sampling.